SkoutTravel is ConranPR’s digital storytelling platform. 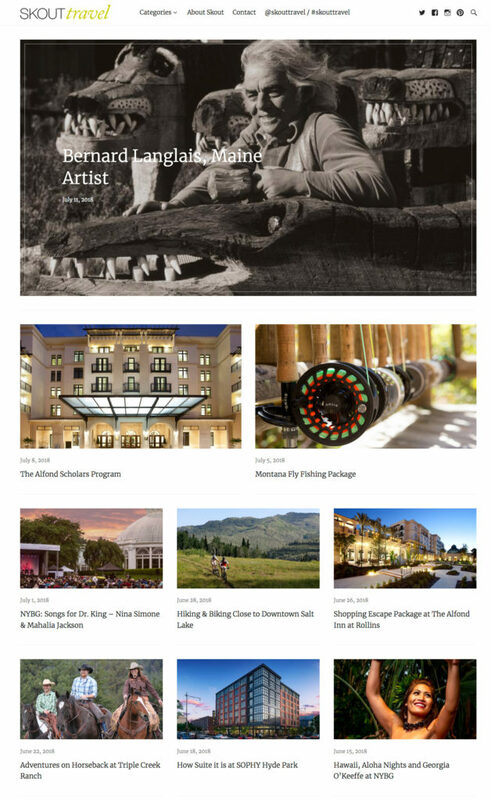 It’s a direct solution to the ever-changing media environment and to the challenges all travel brands encounter in getting news published these days. Designed as an independent news platform and driver for clients’ social media/SEO, SkoutTravel takes an innovative approach to communicating your news. It has the look and feel of a top digital magazine, with loads of space for beautiful imagery, video and tightly edited text. This is the place where we have the total freedom to fully share your news, stories and photos – and to drive your SEO. SkoutTravel, after all, is for consumers as well as for media.